Make your family nutrition and eating simple and crystal clear! 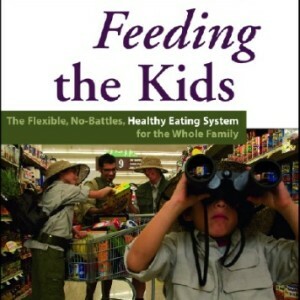 Feeding the Kids, by Pamela Gould and Eleanor P. Taylor, RN, CDE with Dr. Katherine Cason, RD will help you do just that. 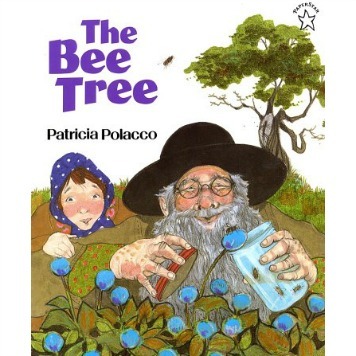 The book is written in a Mom’s voice as a field guide to the “wild, wonderful and sometimes frightening world of food” and comes complete with stories, lists, charts, and icons. With an emphasis on “how to” rather than “why to”, it provides an easy-to-use format for a 6-week journey to smarter eating for you and your family. The authors understand that people are confused about what to eat and this confusion, combined with all the food items available in a grocery store complicates the process of choosing what foods to serve your family. Many foods are not healthy, but “stealthily” disguised as healthy foods by deceptive marketing messages on the front of the package, especially with health claims or added “magic” ingredients. The so-called “stealthy” marketing messages out there mislead people into thinking foods are healthy when they are not. Overall, parents are misled and confused. Feeding the Kids will help you to: confidently select healthy foods that fit into your family lifestyle and preferences, understand current nutrition guidelines quickly and easily, raise children who love healthy food and naturally prefer it, and enjoy family meals without fights over what, when, and how much kids should eat. In the book, you categorize foods into “Smart”, “Empty”, and “In-Between”. Can you explain how these categories are intended to make shopping in the grocery store easier for parents or caretakers? We did not want to use the words “healthy” or “unhealthy” to describe foods. There is no such thing as a “bad” food. There are just some foods that should be eaten more often than others. All foods can be categorized as EMPTY, In-Between or SMART. Exposing your children to mostly SMART (packed with nutrients) and In-Between (Smart foods enhanced with a little Empty) foods allows parents to relax and lets kids learn how to “self-regulate” (make their own eating decisions by listening to their own tummies). “Empty” foods are mostly calories with little to no nutrients, often with excess or unhealthy fat—and/or added sweeteners. The main goal is to help identify “empty” foods and decrease them. Decreasing empty foods is easier when you have great- tasting, healthier foods keeping you happy and full. Families love these words because they help them relaxed and focused on which foods to choose. The words also make shopping easier because they allow for quick ways to evaluate foods. Feed your children mostly SMART foods, but ALL foods should be eaten with pleasure in a relaxed, happy environment. Why should parents focus on health and not weight loss? What about this method works best with overweight or obese children? When a family focuses on good nutrition as opposed to going on a diet, they all develop healthy eating habits. This is the best way to lose weight and maintain it long-term. By focusing on health rather than weight loss, the family moves towards a future of healthy weight. Being healthy and enjoying food is the goal, not weight loss. The 6-week journey to smarter eating progresses through the food groups from fruit, vegetables, dairy foods, whole grains, and proteins. Is there a reason for this order? Parents are free to go through the journey in any order they want. 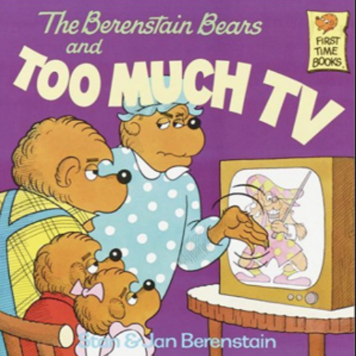 The book was broken up into categories because each category has its own challenges. First and foremost, it is important to establish family eating dynamics, family eating routines, and recognize SMART foods. Parents often do not know how to evaluate each category or how to fit each category into meals. Parents can begin by adding healthy versions of family favorites. Fruit is often easiest to add so it is often best to start there. Vegetables can be the most challenging so begin to add that category next. Each chapter of the book shows what servings should look like for that specific food category, which can be helpful when starting out. The book is described as a “Flexible, No-Battles, Healthy Eating System for the Whole Family”. What are 3 tips to avoid food battles with your kids? No bad-mouthing the food: No negative comments about foods are allowed at the table. Teach kids to say “no thank you.” Kids are allowed to express concerns about particular foods after dinner but no negative comments are allowed at the dinner table. Nobody has to eat anything they don’t want to eat: The rule is as simple it sounds. It is important to honor individual food preferences. Just look at it: Everyone has to have a little of everything on their plate. If they do not want to eat it they do not have to, but it has to be on their plate. Parents who implement these rules reduce food fights at their table. It is important to note that these rules are only suggestions and parents are allowed to make up their own rules based on what works in their family. The book is described as a “Fork and Spoon Field Guide”. Can you elaborate more on this concept to our readers? The book is an adventure and meant to be used as a reference when needed. People need specific information to help them decide what to eat. This information needs to be doable and easy to use right away. This book is meant to provide that information and be used as a reference guide as time progresses. Are there any parenting tips that did not make it into your book and if so can you share a few? I always say parents are the most knowledgeable about their children and their families. An important parent tip would be, “you decide.” For example, we often get asked if kids should be forced to take a bite of everything? In the south, this is known as the Bunny Bite rule. My answer to this is, you decide. As with all family food rules, if the rule creates peace at the table, then it is probably working for you. However, if the rule creates more stress and food fights, consider changing rules and looking at the rules in the book. If there were only one message you could convey about smarter eating for the whole family what would it be? Eating healthy food is important, but LOVING a variety of healthy foods is even more important. Families already have family favorites. Find ways to adapt family favorites by swapping or switching to a Smarter version – or by adding in Smart ingredients. Smart eating does not have to be stressful. Forcing foods just because they are “healthy” makes kids dislike healthy foods in the long run. Also, limiting kids to ONLY what they say they like at the moment denies them the chance to LEARN about new foods they might love. Expose your children to a variety of new Smart foods. As a mother yourself, what has surprised you most about kids trying new foods? What surprises me most is how early children demonstrate their own food preferences. Expose your children to all foods without pressure, and let them decide “what” and “how much” they want to eat. It can take 10 or even 20 exposures to a new food before kids will take a bite. Food rejection is normal as a child develops, but never exposing your child to foods denies them of foods they may come to love. An important parent rule is to ignore food rejections and implement the rule that their child does not have to eat the food but they have to have it on their plate. When they are ready they’ll take a bite. Experts know the whole family approach to healthy eating is key to success. How can one overcome this if one family member is resistant to change? With food resistance, remember that all rules apply to everyone at the table, not just the kids. There are many suggestions for food resistance in the book. Each food group covers food resistance for that specific food category. I like to remind parents that short-term hunger is not dangerous. If your child refuses to eat a snack or even a meal, it needs to be his/her choice. Overall, it is important to acknowledge that the person does not like the food and always honor individual food preferences. You do not have to love all foods to be healthy. You have published a curriculum based on the book, Feeding the Kids Workshop: Raising Happy, Healthy Eaters. Where is this curriculum currently implemented and how can readers learn more about it? Our curriculum is ready to go. Everything is available on a CD from handouts to evaluations. 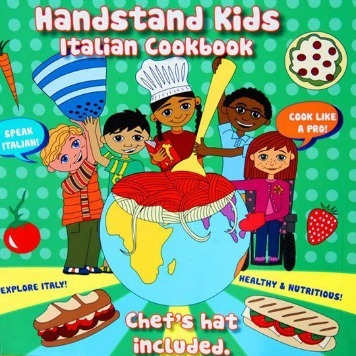 It is available through nutrition education vendors such as NASCO or NCES and is also available on our website, www.feedingthekids.com. Anyone interested can go to our website for supplementary handouts and purchasing information. Aimee is a registered dietitian with a passion for nutrition and the role food plays in disease prevention and management. She currently works as a clinical dietitian in the New York City Area and runs a private practice, AZ Nutrition and Wellness.